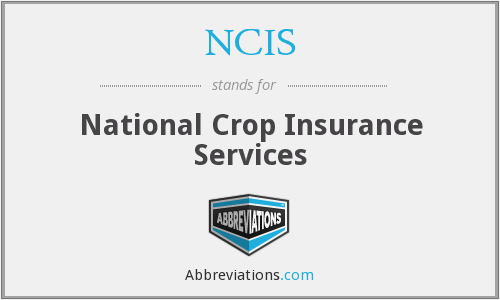 What does NCIS mean in Farming & Agriculture? This page is about the meanings of the acronym/abbreviation/shorthand NCIS in the Miscellaneous field in general and in the Farming & Agriculture terminology in particular. NCIS is an American police procedural drama television series, revolving around a fictional team of special agents from the Naval Criminal Investigative Service, which conducts criminal investigations involving the U.S. Navy and Marine Corps. The concept and characters were initially introduced in two episodes of the CBS series JAG. The show, a spin-off from JAG, premiered on September 23, 2003, on CBS. To date it has aired for ten full seasons and has gone into broadcast syndication on USA Network. Donald P. Bellisario is co-creator, along with Don McGill, as well as executive producer. NCIS was originally referred to as Navy NCIS during season one; "Navy" was later dropped from the title as it was redundant. In season seven, NCIS was joined by a spin-off series, NCIS: Los Angeles, starring Chris O'Donnell and LL Cool J. In 2011, NCIS was voted America’s favorite television show. On February 1, 2013, CBS renewed NCIS for an 11th season. The series finished its tenth season as the most-watched television series in the U.S. during the 2012–13 TV season. How popular is NCIS among other acronyms? "NCIS." Abbreviations.com. STANDS4 LLC, 2019. Web. 20 Apr. 2019. <https://www.abbreviations.com/term/386924>.